TronSpark.com will be the main site for the TRON Super Representative campaign. We are Tron Spark, the first Tron focused news website. We are pleased to announce that we are running for Super Representative. 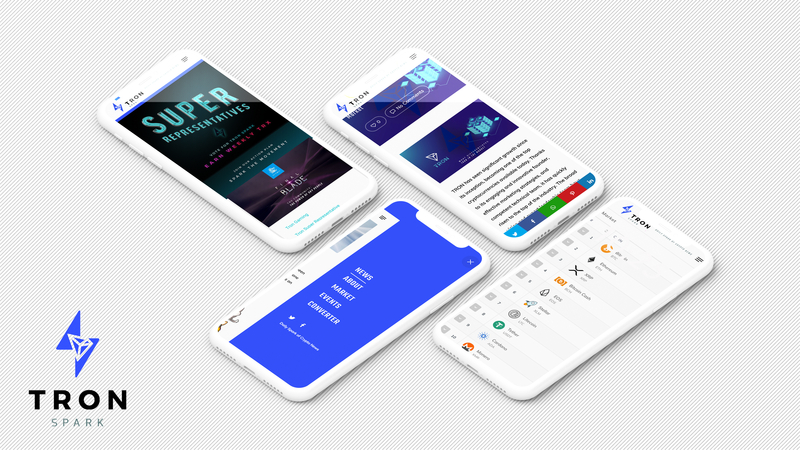 We will use our news website as our main website for the Tron Super Representative campaign. We are a digital online content platform that focuses on blockchain, cryptocurrencies, and the Tron ecosystem. 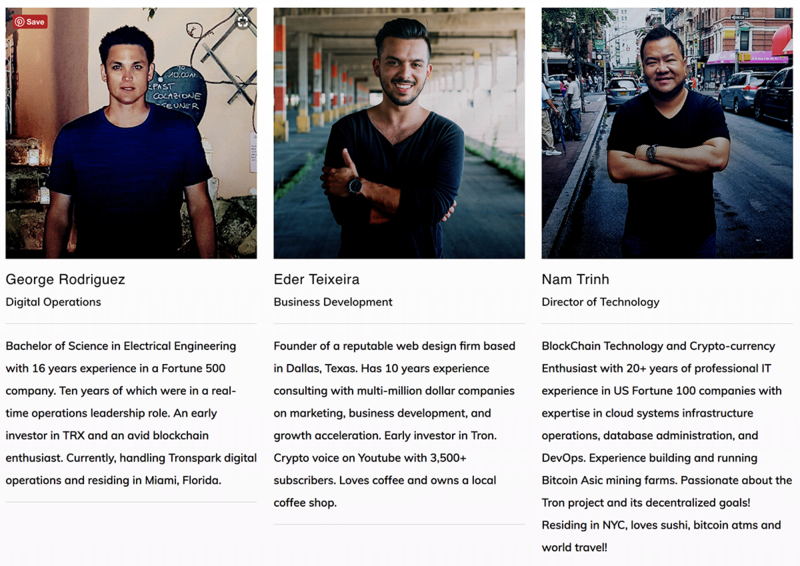 The Tron Spark team is a Tron candidate for Super Representative comprised of a devoted group of individuals who have a very deep passion for blockchain and its underlying potential. This passion is the spark behind our drive and motivation. Our goal is to provide the Tron community with a digital content platform which can be used to inform and educate the masses about the potential of blockchain along with the vision of the Tron protocol. Our goal is to assist Tron in expanding its reach across the globe, thus, making it the smart contract blockchain of choice. In order to accomplish this feat, we are setting up a digital media outlet that covers blockchain, cryptocurrencies, and the Tron ecosystem. As our action plan states, with the help of our supporters, we will be providing professional digital content to educate blockchain enthusiasts who can potentially be Tron adopters. The primary objective is to add value to the Tron ecosystem. 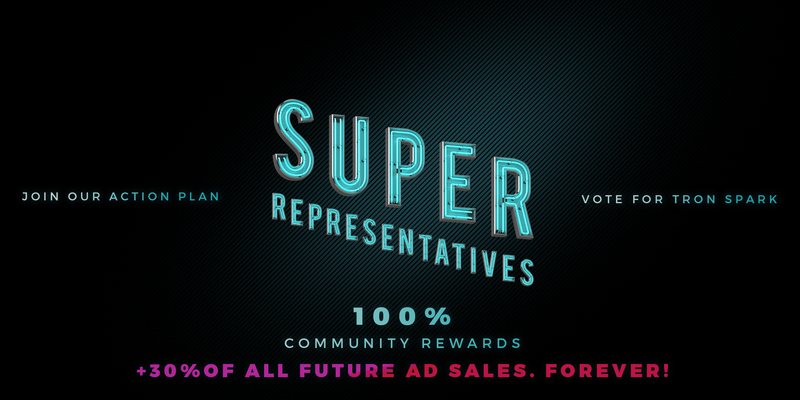 Being a Super Representative is not just about running a server, it is about leading the Tron movement. And Tron Spark is ready to do just that! Tronspark was founded by 3 early Tron investors who believed in the Tron objective of decentralizing the internet. Since launching, our team has grown by 3 additional paid staff members and a volunteer marketing group of 10 other individuals. In addition to our private group, one of our founders, Eder Teixeira, has a collective reach between his Youtube page, Twitter and Instagram of over 10,000 followers. Our goal is to provide the Tron community with a digital content platform which can be used to inform and educate the masses about the potential of blockchain along with the vision of the Tron protocol. Our primary objective is to present reliable information in an easy to understand and enjoyable manner. We will also be hiring additional staff, such as writers and influencers from the community, in order to deliver the content necessary to meet the demands of our viewers and supporters. We have a growing community supporting this project and excited to see its growth. We will start the mainnet node infrastructure with below configuration settings. Since we are on startup mode and our small team is paying for this system out of our own personal funds to run for Super Representative and also support the Tron mainnet ecosystem launch. Our expected budget for this is $60,000 USD annually.